Ever since I can remember, the back-to-school time was my favorite time of year. Picking out crisp new notebooks, inky new pens, bright un-doodled-upon folders, a Trapper-Keeper (am I dating myself? ), and other fun accessories was the highlight of early August. I’m guessing if you’re reading this blog, you might know this feeling. Are you feeling it right now? I hope so, because Erin Condren is here to make our year more fun, organized, and colorful. It’s been many a few years since I was in school, but thankfully, I get to experience the back-to-school excitement again…through my kids. 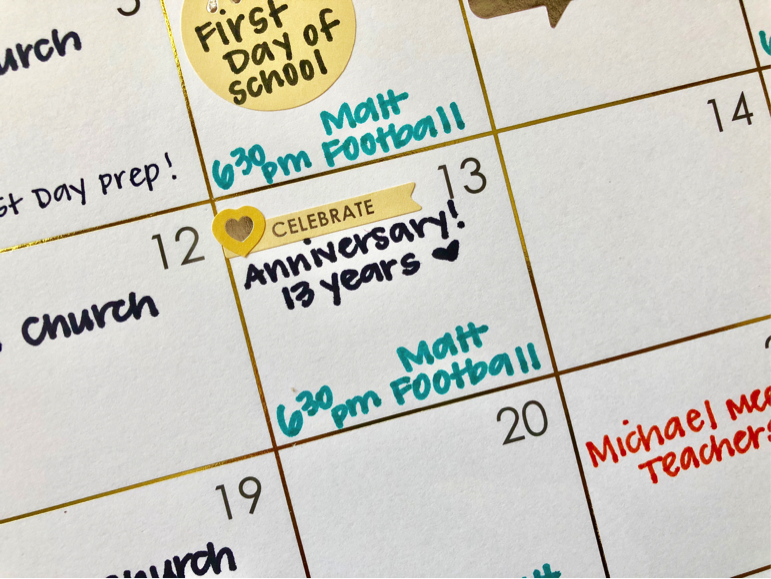 All three of my children head back to school in just a couple of weeks, and I’m so excited to share how they’ll be getting things done so they can have some fun! 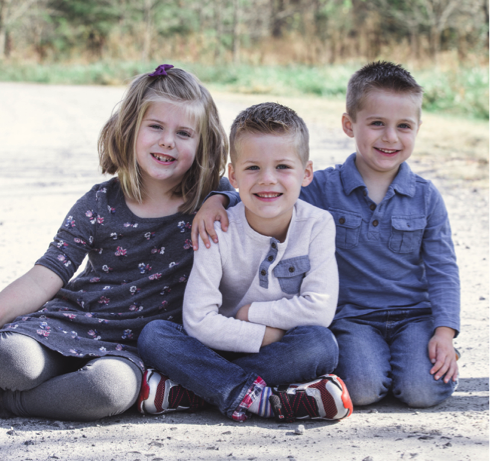 My name is Jen, and I have three kids, Macy (2nd Grader), Matt (1st Grader), and Michael (Pre-K). 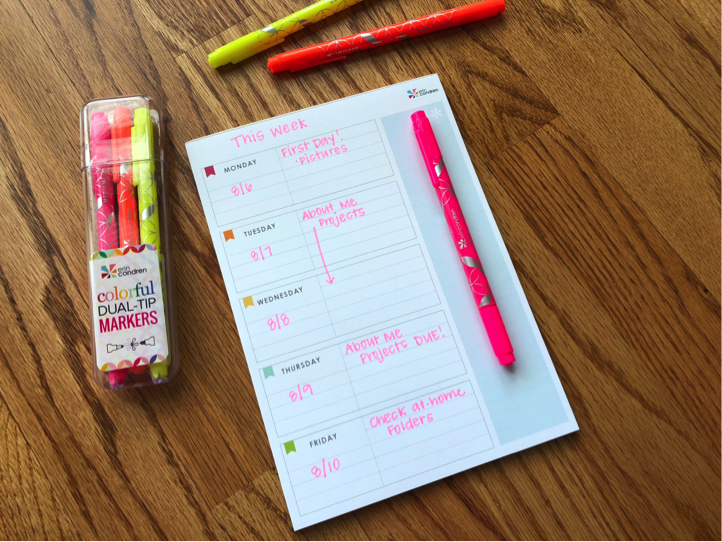 While only the older two are just starting to get actual assignments, they all watch mom play with stickers plan our days out here at home, and I want them to start developing the crucial habits of staying on top of their schedules and tasks. 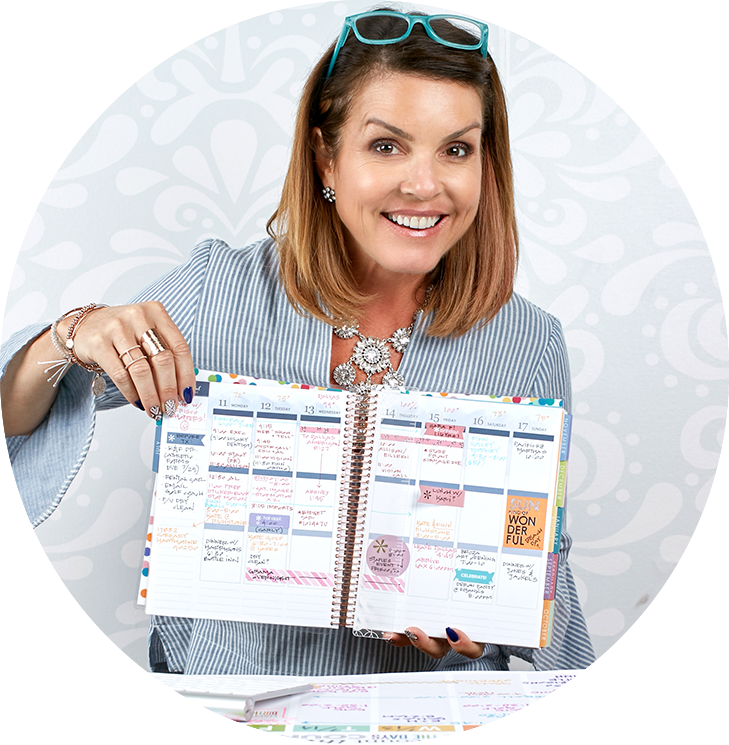 I want them to know that the goal isn’t to fill out the planner, the goal is to accomplish whatever it is you want to accomplish, and the planner is a tool that can help along the way. And “help” is a spectrum from a creative outlet to a systematic task list! No rules here. They are free to experiment to see what feels best to them. Onto the supplies! I am super excited about the new products. I’ve saved the best for last…so make yourself comfortable! First up is the new Personalized Planning Notepad. This has a striking resemblance to the weekly layout of the Horizontal LifePlanner, but with the ease of a notepad. With 25 sheets, one of these per semester will get you all the way through the year! Mine is not personalized, but you can add your name (or anything else you want) to the top. As a mom, I love the idea of using this as kind of an at-a-glance for the week. Important things I need to remember, big projects, reminders of special days, and more. The box under the day could be for a date, the weather high and low, or a theme day of the week. The space is so open that it could really be for any purpose. This would make a great chore chart, pre-planning worksheet, or even weekly goals list. Or, your oldest child can borrow it and use it whatever way she likes. Stickers, of course.Next up are these ADORABLE notecards! The Woven Wonder pattern lines the top of each card. They come hole punched with a ring for easy assembly. I love the laminated covers to keep the cards protected, and as a bonus, you can use the wet erase markers on them! Notecards are so versatile. Even at my kids’ ages, they can range from letter sounds to sight words to multiplication tables. My preschooler LOVES reading (with us) and is trying to string together sounds, so I filled this one with simple words. He is having so much fun practicing! I think the thing they were MOST excited about is the new Lunch Tote collection! These are the same design as previous years, but noticeably larger. The new design measures 12x12x6, so they can hold containers, ice packs, and a drink easily while still zipping. 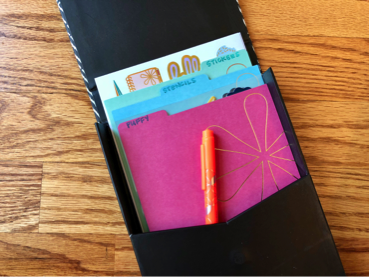 My kids aren’t quite old enough to have free reign over the color of some of their supplies (school lists dictate folder color), so they can’t use these fun Designer Pocket Folders, but I CAN! I snagged these to keep track of general school info so that it’s easy to find throughout the year. Oh, how I wish I had these in college! I haven’t done a lot of deskpad planning, because I don’t have a desk where I plan. I sit at the kitchen table with all of my planning supplies and take over until it’s time for someone to eat around here. Nonetheless, you can easily hang this Metallic Monthly Deskpad up on a wall for your family to see. It helps keep everyone on the same page to have a central family calendar. A big, roomy space for monthly events plus a nice wide sidebar covers pretty much everything you need for a month at a glance. 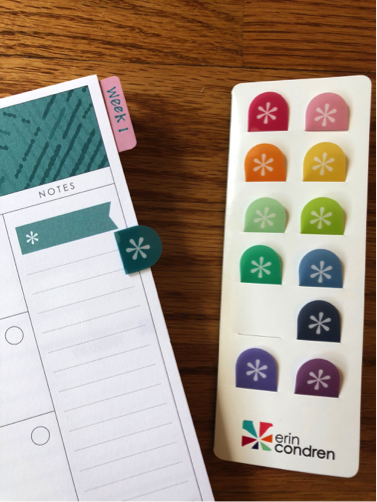 Of course it wouldn’t be an Erin Condren product without some stickers nearby. 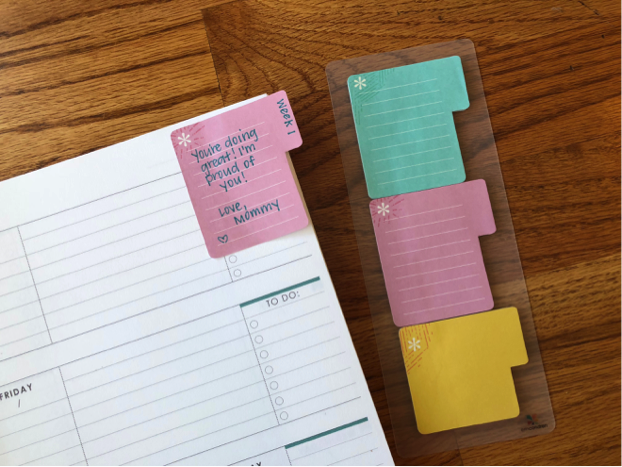 I love pretty things, but I’m a functional planner, and these stickers are EXACTLY what I love for my personal planning! 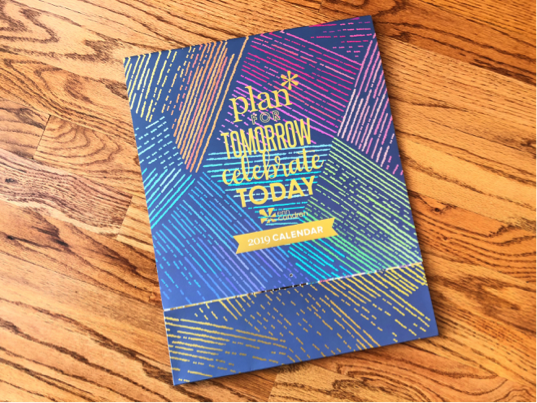 Fortunately, you can find both decorative and function (and a blend) in the vast selection on the Erin Condren website, but this one really nails it for the monthly planning. Excited to be able to use this CELEBRATE sticker this month! We celebrate our 13th anniversary. That’s 13 years he’s been putting up with my planning. 😉 We plan to celebrate with some football practice. All in all, I’m excited to have all of this space for the whole family to see! As our kids have gotten older, I’m realizing how important it is for them to know what’s happening, too. Another larger calendar alternative is the Inspirational Quote Calendar. It’s smaller than the Metallic Monthly Deskpad and comes in at a lower price point, but brings signature EC quotes to the table. This one runs January – December 2019. I love that it’s a big more compact. This would also make a GREAT gift! Last but not least, the Academic Planners and their accessories! 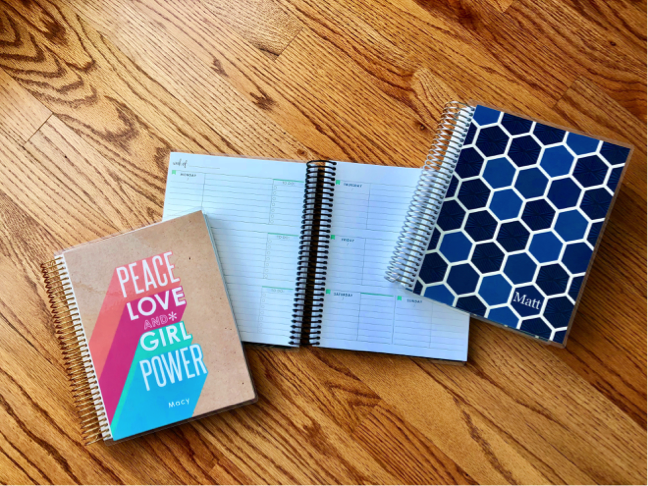 These undated, coiled Academic Planners would have been my dream come true in school. Same coil options as the LifePlanners and Notebooks – Platinum, Black, Gold, and Rose Gold. All beautiful! Each Academic Planner runs for 12 months, with the flexibility to start whichever month of the year you choose because it’s undated. Date Dots can fill in the dates for you, or you can simply write them in. 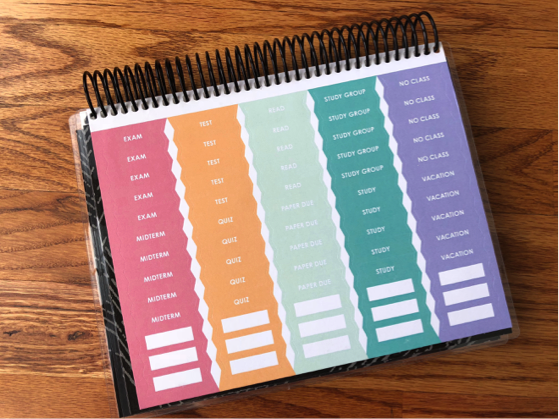 In the beginning of the planner is a 12-sheet projects and exams section. Spaces for description, class, details, deadlines, and of course, a checkbox for when it’s complete. 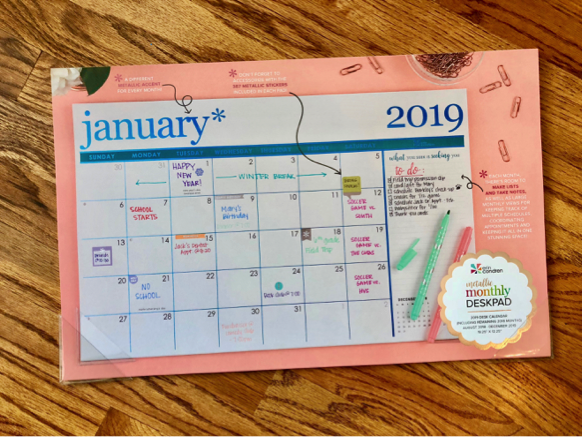 The Academic Calendar has two sections that can be used as a margin and main space, blocks to separate schedule from homework, important daily reminders, or any other combination of content you might like. It also has a designated to do area for each weekday. And of course, stickers at the end! It’s SUCH a fun planner for a student! Makes me almost want to go back to school. Almost. 😉 My kids are THRILLED and jumped right in! I’m not sure whether they liked the planner or the stickers more… But they sure had fun decorating! The patches were a HUGE hit! They fought the most over the patches. Thankfully, there were plenty to go around! My middle guy is doing SUCH a great job writing, and he loves all of the space to practice. 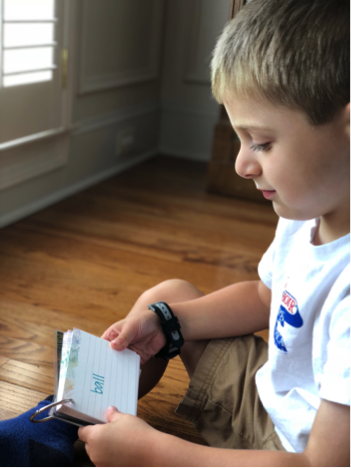 Even if he’s not writing down assignments, he can still log reading and write about his day, which they’re encouraged to do in first grade. 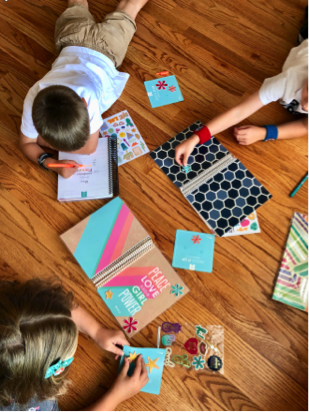 I’d say their first sibling planner party was a hit! A few more fun accessories round out the Back to School selection and I may be taking some of these for myself! Tabbed Sticky Notes are the perfect size. I left my kids notes to find the next time they open their planners! I definitely took these for my own LifePlanner™ and Deluxe Monthly Planner. So many options for these from extra notes to reminders. Love this addition to the accessories list! The rounded pop-up page flags are adorable. They do stick up just a hair, so be mindful of where you place them on the page. They’re also VERY sticky, so once you place them, they’re not moving anywhere! The Sticker Storage Box also has a new design! All the new stickers and accessories fit nicely in the sticker storage box! There’s a magnetic closure too. WHEW! Are you ready for school? I know we are! 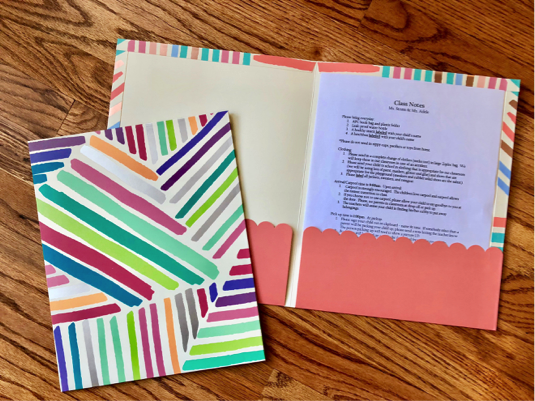 Thanks so much for joining me in this review of the fun new products Erin Condren has to offer students and other school supply lovers. I’m feeling ready for the year to begin! I’d love to hear which ones you love most!